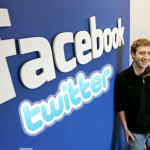 Social networking site Facebook is collaborating with Skype. This collaboration brings a lot of novelty in both Facebook and Skype. Skype’s latest version will let the Facebook users see their contacts of Skype in Facebook, without having to login to Skype. You may also update your Skype’s status message through Facebook, post comments on your contacts updates etc plus it also allows you to make calls through Facebook to cell phones. 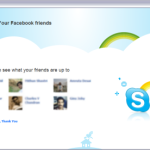 Skype and Facebook made official there partnership a few days back after a series of buzz roaming around. 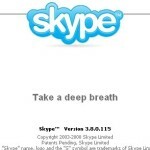 Skype 5 has incorporated several other features other than sustaining Facebook. According to Skype this new version is updated and users will find it to be interesting and modernized! At a recent gathering of the Society of Professional Communicators in Worcester, Harry Gold, CEO and managing partner of the Boston-based marketing firm Overdrive Interactive said that although a tug of war has begun between social network giants, our real life is least affected by it as what matters is the quality not quantity of friends online. 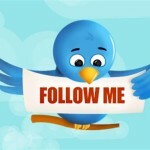 he further said that friends are but a segment of the social network marketing campaign. You can have a long list of friends or followers but they are of no use for your business if they do not switch from follower to Customer. Media has claimed that social networking sites are fastest source of spreading information and awareness, and thus have given birth to new form of activism. Protests during Iran’s last years general election is the glaring example of such activities says Malcolm Gladwell in The New Yorker. Skype one of the famous social networking company has signed an agreement with Japanese largest Telecommunication Company KDDI. Which is marked under the ‘au’ brand name. KDDI is the country’s second largest telecommunication company with 32 billion customers at the end of September, after NTT. 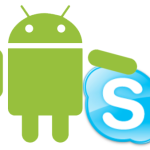 Skype instant messenger app will provide its internet telephony services offered on cell phones and broadband internet and to cable TV customers. Skype introduced its latest version 5.0 which has the facility to make internet calls and send messages to one another directly. It also includes a Facebook tab which lets you click on the “like” button just like you would do on Facebook. Moreover, it also shows news feeds and has a button next to it which lets you call your Facebook users using Skype. With the development of a number of online social networks it is hard to say which network would the companies prefer to advertise there merchandise. Marketing firm Social Twist issued a report according to which, The result of sending more than a million referral messages sent using the company’s Tell-a-Friend, was that online networking has become more and more about social networking but the old school advertising strategies still have strong roots in the world of Marketing. Only a few days back Skype officially announced the launch of its long due Skype for Android application which everyone had been looking forward to. Verizon network users with Android Devices already benefited from this feature, for the rest of the Android group it was a time of celebrations, and the Android community was thrilled to see a Skype app for the Google OS. The only people who werent so pleased at this development were users in the United States as 3G calling had been put to a halt. While users all over the world could make calls by 3G, callers in US were limited to make calls through WiFi. With the latest version of yahoo messenger, users can have a live video chat over Wi-Fi or 3g and can make video calls too. 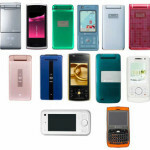 The best part is that it can make a video call between iPhone and Android device which has a front-facing camera and it can also be used between iPhone and a PC. Keeping up with its promise of giving iPhone messenger application with video calling facility, Yahoo has won our hearts once again. This amazing application is now available live in Apple’s application Store for download.